JELENOV GREBEN, BORUT JEŽOVNIK S.P. If you are looking for comfortable and affordable accommodation in Podčetrtek, visit JELENOV GRABEN. In the beginning we prepared mushrooms in various ways and deer goulash, but as the visitors always felt good here and wanted to stay for a few more days not just for the culinary deligths, we added rooms and apartments in our. Our accommodation Podčetrtek offers clean, cofortable rooms and apartments where you will find everything you need for relaxing holiday. All rooms have bathroom, some of them have balcony and in the apartments you can find fully equipped kitchen and living space with seating area that can be stretched into bed for 2 more guests. Acoomodation Podčetrtek are really what you need if you want to relax and get away from everyday stress. 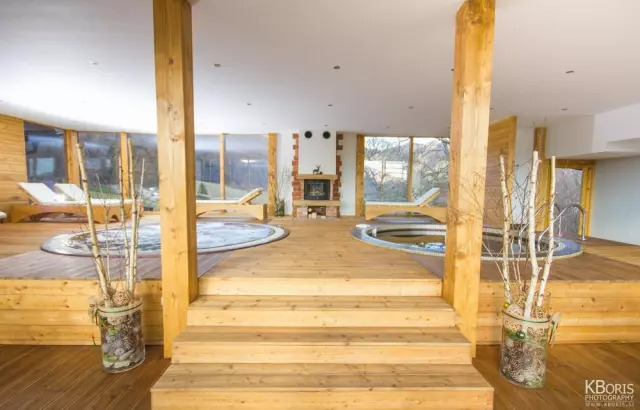 We also offer wellness - two hot tubs and two saunas and loungers from where you can enjoy breath taking view or you can enjoy relaxin massages and body treatments. Before booking accommodation Podčetrtek contact us or visit our website, we will gladly answer all your questions and will welcome you with open hands and offer you memorable stay.